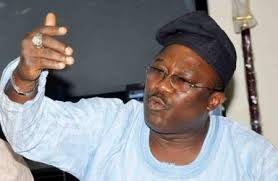 Smart Adeyemi, a journalist, is a member of the Peoples Democratic Party (PDP). He was elected into the Senate in 2007 and re-elected in 2011. The former President of the Nigerian Union of Journalists (NUJ) wants to return to the Upper Chamber for the third time to represent Kogi West Constituency, Kogi State. 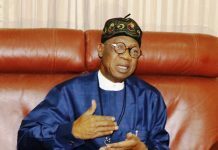 He speaks with FREEDOM ONLINE on why Nigerians will re-elect the PDP presidential candidate, President Goodluck Jonathan, and reject his All Progressives Congress (APC) counterpart, Major-General Muhammadu Buhari. The impression out there is that your party is not ready for the approaching elections and that the PDP is actually afraid of losing the elections. The opposition appears to be carrying on as if they have been declared winners of the election. Is it really true that the PDP is afraid of this general election? I think that cannot be true for a government that is in power to be afraid of elections. But I think the opponent must have something to say in order to get the attention of the electorate. But be that as it may, those are part of the propaganda and blackmail of the aggrieved former members of the PDP who constitute themselves into a political party now called the APC. I hold the strong view that Nigerians are now more convinced, more than ever before of the fact that the PDP is actually ready for elections. If I may ask, where is the APC now? After the postponement, they’ve gone underground, they are confused, they are in disarray; they lack focus now. They have exhausted all their manipulations and propaganda to the point that they have nothing to say about the ruling party any longer. On the other hand, the PDP is forging ahead more than ever before. Nigerians are starting to appreciate all the achievements recorded so far, the transformation agenda of this administration which cuts across virtually all the sectors and I hold the view that come the 28th of March, the PDP is going to win not just the presidential election but we are going to have majority members of the National Assembly. This is going to be so because as I speak to you today with a few days to the election, the opposition has nothing to offer. As a matter of fact, they are stuck already. They are off the radar. You can hardly tell me any serious gathering of that party called APC. While they came at a time, they came like a wind. But right now, they have settled to the ground. Where is APC today? Perhaps they are already warming up for the victory dance. Well, in a competitive election like this, you campaign to the last hour allowed by the law. But what I’m saying in essence is that they have nothing to say any longer. The propaganda, the blackmail, the deceit has been exhausted and they have nothing to say. There are just two basic issues at stake which the opposition seems to have been using to blackmail this government. They talked about corruption; they talked about insecurity. Thank God the armed forces, more than ever before, have woken up to the challenge of this insurgency. Today, we have recovered virtually all the territories that were under the control of the insurgency some months back. As at today, Bama which is one of the most critical communities very vital to winning the war has been recaptured by the Nigerian Army. Now, the issue of insecurity, the Federal Government not being able to secure lives and properties is no longer an issue today. In months back, it was an issue. Yes, it is expected to be an issue, but of course, what the APC failed to tell Nigerians is why it was difficult for the Nigerian Army to win the war before now. It was so because there were international conspiracies against Nigeria in the procurement of ammunition and hardware and because the ammunition were not available, the army couldn’t fight the war. Just about eight weeks ago, I read in that the United States, according to the report, agreed that particular week to sell what they called Alpha Jets to Nigeria, which was very critical to winning the war against insurgency. Today, we can see a brand new Nigerian Army. Not that the personnel are different. It’s because they are now well equipped and now they are winning the war. 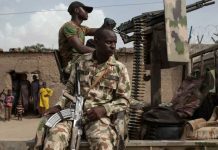 But the conspiracy against Nigeria in acquiring the vital hardware made it impossible for the Nigerian Army to forge ahead against the insurgency. Today, the tide has changed. They are absolutely in control and we have seen the Nigerian Army that we used to know – very vibrant, very courageous and very forceful in pursuit of any assignment given to them. They have won so many medals across the length and breadth of the world. I think added to the international conspiracy was the fact that when people like General Buhari were in office as Head of State, they never equipped the Army. They deliberately didn’t do that because they were afraid to equip the army so that they don’t organise coup against them. Successive administrations too never did what Goodluck Jonathan is doing now. They never equipped the Armed Forces so that they don’t organise coup. So, you can see the accumulation of neglect over the years in ensuring peace and stability of the nation. So, President Goodluck Jonathan came and he inherited these problems. But that is changing now. The other issue they talked about, apart from insecurity, is corruption. They will tell you this is the worst government; everybody in the PDP is corrupt. I know that corruption, like insecurity, is a global problem. Every nation of the world is fighting corruption. There is no nation where people are extremely transparent to the point that you don’t talk about corruption. Corruption is a global problem, just as insecurity is a global problem. But every responsible government tries to fight its way against all these twin interwoven global problems. Again, I will tell you that I do not think the PDP is a corrupt government as we have been made to believe. I do not believe that every one of us in the PDP or in government is corrupt. But if the APC is maintaining that we are all corrupt, let me tell you to please tell the APC people that they should just line all their leaders; let them face a mirror, from Buhari to the least of them. When they see the faces before them, they will see the faces of the corrupt people before them. So, corruption is everywhere. If they say it is not, they should take an x-ray of their leadership. But General Buhari said he has a history of fighting corruption. Having a history of fighting corruption does not translate that Buhari is a saint. Buhari is not a saint. Go and check his antecedents in the PTF. All the people that surrounded Buhari, all his aides, where did they come from? All the people that worked with Buhari in PTF and the consultants he employed, where did they come from? They didn’t come from Ibadan. They are all from his own village, his own community and his own family members. Somebody was asking me why I was supporting Goodluck; that Goodluck is not a Northerner and I am a Northerner. I quickly answered him that Buhari is not a candidate for the Northern region. Buhari can never be a candidate for the Northern region in the first place. The North cannot afford to have Buhari as its candidate in the first place because Buhari lacks all the qualities of Sardauna. In fact, Buhari stands in opposite direction to all that Sardauna, Sir Ahmadu Bello, stood for in every sense of leadership. Buhari is not a leader that personifies Sardauna. To call him a Northern candidate is an insult to the North. The fact that you emerged though military might doesn’t translate you as a leader. The only time you can tell me you are a leader is when you are democratically elected in a free and fair election. Buhari has never been elected in a free and fair election before. So, Buhari cannot claim to be a leader for the Northern region and he can never be one because of his antecedents. Leadership evolves though a democratic system. They fact that you are opportuned to hijack power through military coup does not translate you to be a leader. In fact, people like Buhari owe the Nigerian people apologies for the atrocities they committed. 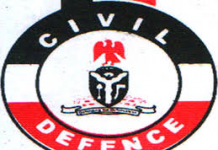 The military government perpetrated corruption in Nigeria. I hope you remember that it was when they came up with this irrational dismissal of top civil servants that those who were left came to their senses that if their seniors could be so removed from office, what is their future? That was how corruption graduated from the elementary point to the tertiary level. It was the maladministration of the military emanating from the dismissal of top civil servants that they perceived to be corrupt. At that time, it was not even corruption. It was ethnic cleansing that they were embarking on. I wouldn’t want to go into details. But the fact is the purge at that time was not to clean the system. It was to reduce the influence of some areas in government, and when they did that, those who were left said if hardworking people can be so dismissed, what was their future. That was how people started embezzling money in Nigeria to the level at which we are today. So, people like Buhari should first and foremost apologise to Nigeria for derailing democratic government in Nigeria. Let me tell you, at the end of this election, Nigerians will know that getting power is not by power or might. That there is God who rules the affairs of men. Indeed, like Buhari needs a whole decade to apologise to Nigerians and to be praying for forgiveness for the atrocities he committed as military Head of State. Not to insult us that he wants to be civilian President. I want to tell those pushing Buhari in this bid that those who ride the tiger will end up in the belly of the tiger. You have alleged that Buhari is not a saint. But do you have any evidence to show that Buhari is actually not a saint? Well, I put it to you that you need to go and investigate Buhari. Go and investigate when Buhari was Chairman of PTF. You see, corruption depends on how you are defining it. Anything that you have done for your selfish interest is corruption, whether it’s monetary, material or by way of trying to enthrone nepotism. Buhari was not a statesman when he was Chairman of PTF. He didn’t demonstrate statesmanship and if he says it’s a lie, let him publish all the names of his aides and consultants he employed and where they come from. I put it to him that he is not a saint and he is not a statesman. If Buhari says PDP is full of corrupt people, he should line himself and others up and face a mirror. From that mirror, he will be able to see that all of them are guilty, if not worse than the people they are accusing. It’s just manipulation, deceit and misplacement of facts to win the support of the people. So, you think the APC cannot fight corruption? The APC is not in a position to even fight corruption. In fact, if you are looking for corrupt people, you should go to APC. How can you give what you don’t have or how can you take away what you are living with? These people are just people who are out to deceive Nigerians and they want to hijack power by all means. Have you taken a look at the composition of APC? APC is made of aggrieved people who left the PDP. Their coming together is not for the interest of the people. Their coming together was basically to champion their individual cause and build their financial empires. Those who constitute the APC today, majority of them didn’t emanate from the desire to serve. They gather to derail a man who is focused. They gathered together because the man who is there today, the President is not submissive to them. So, to them, the way they can do it is to come together and hijack power for their selfish interest. It will be disastrous – God forbid – that the APC will rule this country. It will bring Nigeria to the lowest ebb in every facet of life. The APC is not a party that is committed the way they are making us to believe. These are high profile businessmen. These are people who are international businessmen. Their focus is how to get the resources of the country to their own advantage. These are businessmen who have been involved in so many shady businesses in this country before. It’s deceit to now come out with this posture they are giving to us. Let them give us the background of every one of them, and then, Nigerians will know who is actually corrupt. If you tell me that PDP is a bad party, that is your own perception, but I will tell you that APC is even worse than PDP. 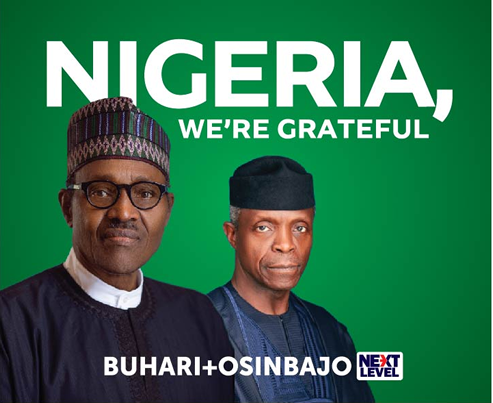 One of the things that gave the APC some sort confidence that they will win the election is that they believe that Buhari is very popular in the North, joined with the popularity of Senator Bola Tinubu in the South-West, the coast could be clear, with media posturing and media power. Do you think your party can withstand that? In fact, the media doesn’t really win for you an election. What makes people to win elections is the record of achievements. Today, more than ever before, Nigerians have come to realise that this administration, more than any administration in the history of Nigeria, has performed excellently well under Goodluck Jonathan. Yes, we had the unfortunate problem of insurgency and insecurity. The insecurity that engulfed Nigeria was one insecurity that we never knew about before. Insurgency was strange to the Nigerian Army. There is a difference between the Army and insurgents. A soldier and a suicide bomber are in two different worlds. One is trained to win the war; the other one is prepared to die ab initio. A soldier is not trained to die. A soldier is trained to win the war and for a soldier to win the war, you need to equip the soldier. A suicide bomber has signed ab initio to go and die. He is looking at it based on the misconception they have planted in him. He believes he is going to heaven and he is going to be given virgins. Now, these are two different things. For me, winning elections is all about achievements of the administration and you look at the socio-economic implications that will emerge after that victory. To have Goodluck Jonathan back to office is to ensure that peace and stability of Nigeria on one hand and forging ahead with the transformation agenda of this administration. Under Goodluck Jonathan, we’ve been able to improve the power sector. Our generating capacity for power, which was at a time less than a thousand megawatt today is hitting about 5,000 megawatts. Today, we have more foreign direct investments into Nigeria more than any other administration. Look at our Airports. They were not as good as they are today. Jonathan has effected massive improvements in all airports. Today, we have more openings and opportunities for Nigerians. We are expanding the economy. Today, Nigeria is rated as one of the emerging markets in the world. We have more universities in Nigeria now. More than ever before, more roads are being constructed nationwide. Lagos/Ibadan Expressway is the life wire of economic activities in the country. Today, it’s taking a new shape under Goodluck Ebele Jonathan. Talks about the rail sector, the trains are back after almost 30 years of being in limbo. 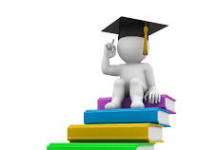 When President Jonathan came, only about 5,000 kilometers of federal roads were motorable, now we have 25,000 kilometres, his government has added 14 new universities to expand education. He conducted the most transparent privatisation of the power sector in the whole of the world. Despite insurgency, the number of dams constructed by this administration cannot be rivaled by any other, then the reforms in the agric sector, this is massive. 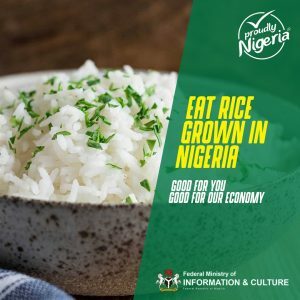 Corruption in the fertiliser management system has been wiped out, close to 45,000 ghost workers removed from the government payroll; saving the nation billions of naira; the Great Green Wall project is addressing the problem of desertification. He has built Almajiri schools that were never thought of by governments before him and he is not stopping. Lots of his achievements are under-reported. I can go on and on and tell you about tremendous achievements of this administration. But this is an administration that doesn’t make much noise and the opposition hijacked the media to run propaganda and misplacing facts before people. But of course, we have since woken up and where are the opposition today? Nigerians have come to realise that they have been deceived. Now you talk about the South-West and the North and let me put it this way to you; one good thing about the South-West is that this is one of the zones that is made up of highly sophisticated and educated people. They cannot be manipulated. The Yoruba, by nature, is not a race where one person will say go this way. They are not going to listen. The Yoruba are too sophisticated for one man to assume that he is their headmaster. In Yorubaland, there is no headmaster. Whether it is the Yoruba in the South-West or the Yoruba in the North, one common feature is that no man enslaves the people. Come March 28, you will be amazed that we are going to win the South-West hands down. The Yoruba will not allow one person or two people to come and enslave them. The Yoruba will look at things dispassionately. Yoruba is a race where people don’t take decisions in a hurry. They take their time and when the time comes, I can assure you they are going to vote for Goodluck Jonathan. You know the Yoruba by nature or by perception are democrats. They will not support a dictator to come back to power. The democracy we are enjoying today was championed by the Yoruba race. 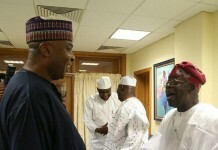 So, they will not now smile at a man who once truncated democracy in Nigeria. The Yoruba people will not do that. They are too educated to be deceived. They are too enlightened to be manipulated. The Yoruba race will not vote for Buhari because Buhari is a dictator and he has never repented from being a dictator and power is too serious to be given to one man who will get there and change. The man is not ready to change. And you talked about the North-West. The North-West will not vote 100 per cent for Buhari. I can assure you that because they know the risk of having Buhari as a President. What are those risks involved? Buhari has no respect for anybody. Buhari assumes that he is the most intelligent human being on earth and he believes that everybody must be under him. Buhari does not respect any traditional ruler. You remember what he did to the late Emir of Kano and what he did to the Ooni of Ife. Buhari has no respect for any leader than himself and those who are championing Buhari today and who are taking Buhari round the country, it’s like when you ride a tiger; you will end up in the stomach of the tiger later. Buhari will consume all of them. One of the campaign issues your party has raised in the South-West is the National Conference report. Do you think people will go with this? We should actually give credits to President Jonathan for his courage to convene the National Conference. I know that he didn’t set up the conference for the fun of it. It was well thought of and I am proud of the recommendations. Who does not know that we need restructuring in this country? Who does not know that we need a structure that will ensure better accommodation among the ethnic sub-nationalities? That we need to give identity to our people to address the rising societal tension? I am in support of creation of states. Who does not know that the Igbo deserve another state? That the Ijebu deserve a state or the Southern Kaduna, the Oke-Ogun, Southern Borno or that we need to solve some of the contradictions that stall development in Kogi and that most of the states created were not democratically created? We should allow states to evolve in line with realities around them. There is no doubt that Nigeria is due for restructuring and the report of the National Conference which will be implemented by Jonathan will guarantee that. The Yoruba have been at the forefront of restructuring all along. There is no doubt they want the confab report implemented by Jonathan. When Buhari went to Chatham House, he said he is a reformed man; he is ready to be a democrat. Don’t you believe him? You know that during elections, people can say anything. In fact, some people can even change their names. I will not be surprised if Buhari says he is now Peter or Okechukwu. But we know Buhari very well that he is not going to change. A Leopard cannot change its spots. Buhari by orientation and by education, he is a dictator. Okay, tell Buhari to apologise to Nigerians for all the atrocities he committed. I saw him on television saying that those who are still against him for what he did when he was military Head of State; they have a choice not to vote for him. What an arrogant statement from a politician. Buhari cannot change. And let me equally tell you that Buhari is not really prepared for leadership. This is a man who does not even know the name of his running mate. This is a man who cannot even tell us the full meaning of INEC or the name of his party. Now what is the problem with that kind of a person? It’s either that he has some discomfort within him. It could be his state of health; it could be his state of mental reasoning. If, at his level, he cannot give us the name of his running mate correctly, he cannot equally give us the full meaning of INEC, for a man who is to contest election, it shows two things: his state of mind and his mental sense of reasoning. Age is not on his side. I am convinced that the man is too old to lead Nigeria. He can’t be less than 77, contrary to what we are being told. I am aware that in those days when people joined the civil service, they reduce their ages so they can stay longer. He can’t be less than 77. Are we saying that we cannot graduate from recycling leaders? Buhari was Head of State when some of us were in school. The same Buhari wants to be President today. Are you saying we have not graduated or we have not been able to bring up new leaders? One of the greatest mistakes the APC has made in this election and why they will not win the election is Buhari. They brought a controversial man with so many stigmas over every part of him. But it is generally believed he is now a toast of the western nation, despite his past. Buhari cannot be a toast of the Western nations. That can’t be true. Those are just manipulations. I mean what has light to do with darkness? The Western world brought us democracy. Why would they want to bring a dictator for us? The western world can never back Buhari. Buhari by his nature and looking at his antecedents, he is not even supposed to be granted audience in any political gathering. This is a man who truncated democratically-elected government. That is the worst crime anybody can commit against humanity. You removed the government we put in place and you are now asking us to vote for you. It doesn’t make sense. Buhari is not a man that should be granted audience in many democratic setting because this was a man, who through the barrel of the gun, truncated a democratically-elected people in office. Not only that; this was a man who jailed people and sentenced people to years that has never been recorded in any judicial book across the world – 200 years, 150 years. Have you ever heard that? Very unbiblical, un-Islamic, un-African, undemocratic and uncivilised manner of judicial administration. He sentenced people to 200 years and 300 years. This same man wants us to elect him. He owes Nigerian people apologies for all the atrocities, maladministration that he committed. Buhari can never be a toast of the western nation because the western nations gave us civilisation, the western nations gave us education, the western nations gave us democracy, they made us to understand what democratic government is, based on the tremendous achievements they have recorded. So, they encourage us towards democracy. You have forgotten how UK supported Nigeria in going back to democratic government. I have not forgotten how the United States supported Nigeria in getting democracy. How would they now want to encourage a dictator? If anybody is telling Buhari that the West is backing him, they are only making him to feel happy. It’s like a man who had a dream and he dreamt that he was rich and when he wakes up, he wakes up, he will understand that it’s a dream. On March 28, Buhari will know that Nigerians still see him as a dictator. If you want to give us the performance rating of President Jonathan compared to other civilian governments before him what would be the score? I stand here and I stand to be quoted that I do not know of any civilian administration that you can compare his achievements in the area of infrastructural facilities, in the area of social amenities, in the area of expanding and galvanizing socio-economic activities than Goodluck Jonathan. Yes, I agree with you equally that there has not been any President that had the misfortune of fighting the worst war any administration will fight. Goodluck Jonathan fought the worst war. In fact, Goodluck Jonathan should be crowned as a Field Marshal of Nigeria. If there is any Field Marshal that should be appreciated in Nigeria, it’s Goodluck Jonathan because he fought the worst war, that is fighting insurgency and suicide bombers. No President ever had this misfortune. That seems to becloud the sense of reasoning of the opposition of the tremendous achievements recorded elsewhere. Is it in the area of sports that we have not excelled? Is it in the area of education? Our foreign direct investment as at last month is over $20 billion. There is no President that has succeeded in improving the foreign exchange earnings from non-oil sector than Goodluck Ebele Jonathan. Today, we have Inland Ports being constructed. There is a Port in Lokoja in Kogi State and they have ports they are constructing across the length and breadth of this country. There has not been any administration that has faced the problem of power supply than Goodluck Ebele Jonathan. Is it the number of universities? Is it the number Almajiri schools that he has established? Look at the road networks in Nigeria. Were there things like that before? Yes, we had the problem of insurgency, which tends to becloud and make people to feel bad about the achievements recorded in other sectors. But thank God today we are gradually getting out of the bad weather. In fact, we are now on the cruising level. The PDP is cruising towards March 28. Our opponents are still on the tarmac. We are already at 35,000 feet above the sea level heading for our destination. We have just been told that our own opponent is not only at the tarmac, he has forgotten his passport at home. We are right now cruising because we have gotten over insurgency. We are cruising and you can quote me that come March 28, Goodluck Ebele Mainasara Omoluwa Azikiwe Jonathan will be elected as President of the Federal Republic of Nigeria for a second term and I can assure you that when Goodluck comes back, not only is he going to consolidate the achievements recorded but I can tell you very authoritatively that whenever the history of this country will be written, Goodluck Jonathan will carry more chapters than many of the civilian administrations because of the tremendous achievements that you will see in the next four years. Next four years will be a total transformation of Nigeria. Next four years will put Nigeria on the path of attaining the 2020 objective of becoming one of the strong economies of the world and I’m proud to be a PDP Senator. I’m equally proud of the President. I’m proud of the fact that more than ever before, Nigerians have come to appreciate the tremendous achievements we have recorded in the last four, five years of President Ebele Jonathan. I think that the media too should give all their support. I‘m sure that journalists would not want to go back to the trenches. You have heard Buhari saying that he is going to jail people. He is not even talking about taking them to court. He said they will be jailed. Let me say it loud and clear that a Buhari administration is for you to go back to the trenches and many journalists will be killed under Buhari because the military did it and Buhari is still a product of that institution. He has not repented from the atrocities committed in time past. This is just to call my colleagues in the media not to sleep with their two eyes open. Let it be told that the problem of insurgency should not becloud the achievements recorded. We cannot pretend that this administration has not done excellently well. In every facet of life, this government has done excellently well and it makes sense to allow Goodluck Jonathan to complete his term. I want to commend the President for agreeing to even run a second term. The crisis of Boko Haram was enough to even make the President say he is not going to run. You’ve forgotten how bad it was about a year ago. Great was the courage of Ebele Jonathan to have agreed to even stay because many people wanted him to abandon the ship and get out. He stood and today, he is getting over the problem of insurgency. So, it takes a great leader to stand and say whatever happens, he is going to stand with his people. Some people would have run away. Some of them would abandon the ship and find a way to go. But this man stayed so far and we can see light at the end of the tunnel. Let us reason together. Let our people get to understand that there is no leader that is hundred per cent good. But I give Ebele Jonathan A+ for the achievements recorded so far. Recently, a foreign online post said that Buhari is going to win the election by 60 per cent on March 28. Is the PDP not worried by such projection? Most of these foreign assessments, sponsored publications on the net, you know today, there is a lot of publications on the internet that are not based on facts; blackmails, deceits, a lot of sponsored reports to ridicule people and tarnish people’s integrity. Let me tell you that the Nigerian people will not vote Buhari and I can let you know that based on our own findings, the shocking news will be the result of the election. Buhari and the leadership of his party will receive the greatest shock of their lives because the Nigerian people, even in Katsina, will vote Ebele Jonathan and I look forward to PDP winning 65 per cent of the votes come March 28. The assessment of foreign sponsored report will not disturb the PDP because we know the calibre and we know the reach of those people in APC. We are not underestimating their reach in terms of propaganda. They are people who are well schooled in blackmail and propaganda in APC. That is one area of their strength. We are not in doubt that they have trained propagandists and manipulators in APC. But that will not win election. Winning election is not by propaganda. Winning election is by facts that people can see. Let me equally let you know that more than ever before, people are equally getting enlightened and educated by the day. So, they can see and they can understand what is going on. Is it our airport? Murtala Muhammed International Airport, was it like this before? We see a lot of changes. Nigerians can see. What I’m saying in essence is voting is not going to be done by foreigners. Voting will be done by Nigerians. The APC made a mistake by picking Buhari and they capped that up by bringing Prof Osinbajo. They went and lured a man of God from church to join a dictator. He should be prepared to do restitution. Is the PDP afraid of Card Reader? The card reader will work against the APC than the PDP. The card reader will be an advantage to the PDP because the PDP has not been involved in the manipulation of card readers. The PDP is not cloning PVCs; PDP has not been involved in the purchase of cards. PDP has not been involved in asking a particular tribe not to be given cards in some states. It’s the APC that are doing that and they will be shocked that they will not be able to use those cards. It’s the APC that is acquiring cards through back doors, believing that they will use them. 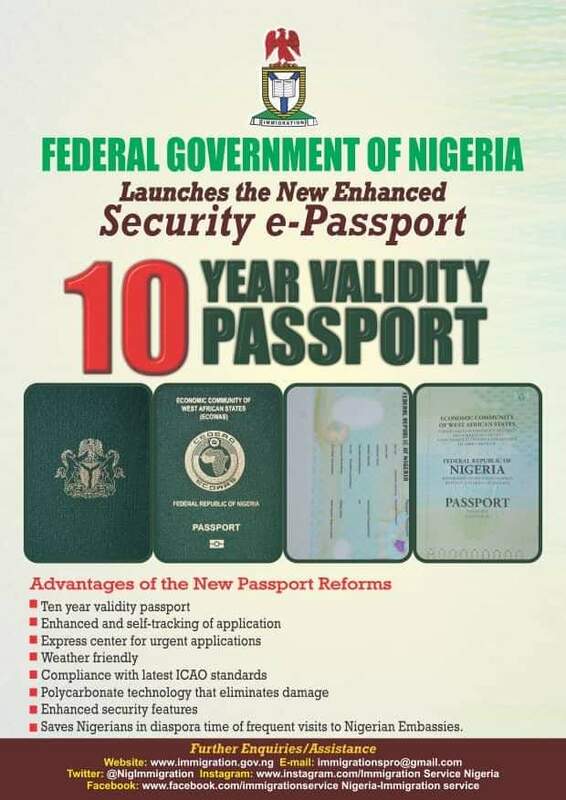 So, if the card reader will be used for the reason that Jega has told us, it is welcomed. The card reader will reveal a lot of fraudulent acts of the opposition. The PDP has not really bothered about doing anything under the table to win the election because there is just no reason for it. 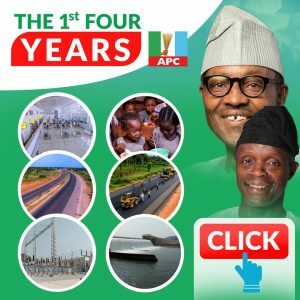 It’s the opposition – those who are desperate in APC. The desperadoes, they are the people who are involved. 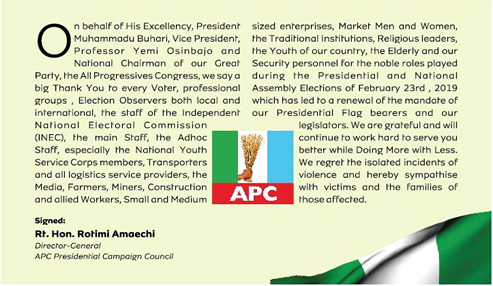 The APC has realised that the card reader, more than ever before, will come to affect them. Now, they are coming to realise that. 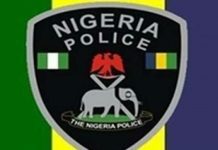 Has any of the security agents arrested officials of PDP for cloning cards? Is it not the APC people that have been arrested for cloning cards? Have we forgotten so soon that in some states, trucks were arrested carrying PVC cards? They were states of APC. It’s not PDP state. We will see what will happen to them because they will be so ashamed of themselves. They will be drenched in such manner that to come out will be a problem for them. When people are making noise and when people come together, you ask for what purpose? If your coming together is not for good, you will fail. The coming together of APC, all those you see in APC, they came together out of grievances and selfish interests. My Bible tells me that surely they will gather. But because their gathering is not of God, they will scatter. APC will scatter. As from March 30, they will start decamping back to PDP. They will come back home. These are people who are just out to champion their business cause. Let nobody deceive you. Of all the politicians you see, less than 25 per cent of them are committed to the well being of the people. Many of them are in politics because they want to protect their business empire. Many of them are in politics because they have scores to settle. Many of them are in politics because they feel that is the way to save themselves from certain atrocities committed in times past. Many of them are in politics because they assume that is the short cut to expanding their financial empire and consolidating. So, when you see people gather and they are shouting, their shouting is meant to safeguard them from years of accumulation of our common wealth. Some people have sat down on it. Let them come out with manipulations of propaganda. How many PDP leadership are involved in media propaganda? How many PDP people own media houses in Nigeria? Those who have shares in powerful media organisations are APC members and they are using it to full advantage. But that will not win elections because Nigerian people will stand and vote and you will see what is going to happen on March 28. APC will suffer unprecedented defeat. In fact, great will be the fall of APC on March 28. I just want to urge General Buhari to get his doctor by his side on March 28. Let them just give him some injections to sleep because the news he is going to hear will not be palatable. I can tell you that all of them will be in disarray on March 28. You will watch that many of them will take off from this country. They will take off. Just wait and see because their coming together is not for the interest of the people. Their coming together is not for the advancement or improving the lives of the people. Their coming together is simply for selfish interests. They will come together surely but they will fall because their coming together is not of God. Next articleL-R: Rivers State Governor, Rt. Hon Rotimi Amaechi; National Leader, All Progressives Congress, Asiwaju Bola Tinubu; APC Presidential Candidate, Gen. Muhammadu Buhari; Lagos State Governor, Mr. Babatunde Fashola; and former Ekiti State Governor, Mr. Segun Oni, during Buhari’s meeting with artisans in Agidingbi, Lagos… on Thursday.